Miami Dolphins quarterback Ryan Tannehill was unexpectedly listed as questionable for Sunday's NFL clash against the Chicago Bears. Tannehill participated fully in practice on Wednesday and Thursday, but was limited by an issue with his throwing shoulder on Friday. If he cannot play on Sunday, Brock Osweiler would get the start against Chicago's tough Khalil Mack-led defense. 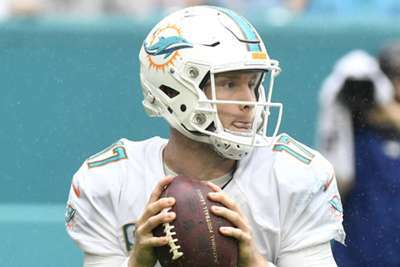 Tannehill, 30, got out to a quick start in the first three games, completing more than 70 per cent of his passes for more than nine yards per attempt. Check out the top headlines from Davie ahead of #CHIvsMIA. But he has struggled in the past two games against the New England Patriots and then the Cincinnati Bengals, completing 56 per cent of his passes for 5.18 yards per attempt.